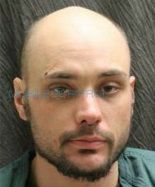 QUEENSBURY — A Glens Falls man who was arrested earlier this year in connection with the 2016 theft of a handgun has pleaded guilty to a felony. Sean C. MacDonald, 29, pleaded guilty to fourth-degree grand larceny, a felony, for the theft of a .380-caliber semiautomatic handgun from an acquaintance's home, which was reported to State Police in November 2016, police records show. MacDonald told police that the gun was traded for drugs in Schenectady, and it has not been recovered. MacDonald was on probation at the time for an unrelated 2018 grand larceny conviction stemming from use of a stolen credit card in Warren County. Warren County Judge John Hall sentenced him to an additional term of probation for the gun case, and he was not charged with violating the initial term of probation because the gun theft pre-dated the other felony case. He is participating in the county's felony drug treatment court. Another sentence from Judge Hall... If you're gonna steal guns or push dope - warren county is the place to be. And we need more gun laws...? Won't enforce the ones we already have... Joke. So owning a 30 round magazine will get you 7 years in prison, but stealing a gun gets probation?